We are all creatures of habit, for better or for worse. Charles Duhigg, author of The Power of Habit reaches organizations and societies with a new way of thinking about habits. 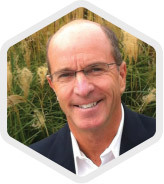 The purpose of his book is to answer "Why we do what we do in life and business?" I often try to get my Fully Integrated Team members to think on this question. If nearly half of our daily decisions are outcomes of a habit pattern, this question matters! I aspire to lead with my father’s spirit of resolve and his love for people. He believed it was unfair to ask someone to do what you wouldn't be willing to do yourself. He always had his skin in the game and people loved him for it. Understanding the power of purpose is crucial to Getting FIT. When a company or organization loses its fundamental purpose, the effect trickles down to the staff. Productivity shrinks, teams collapse, and disgruntled employees bide their time until a more suitable position opens up elsewhere. "Nemo" scrolled across news headlines as the winter storm blanketed the Northeast in snow last Friday. The naming of this blizzard, an uncommon practice, stirred up controversy among weather experts. Nemo littered streets with stranded vehicles, enacted widespread power outages and trapped people in their houses with record-breaking snowfall. Today, we address Part Three of FIT, the stage when we put it all together. The team in focus is a wrestling team, sopping wet in sweat after a good, hard practice. 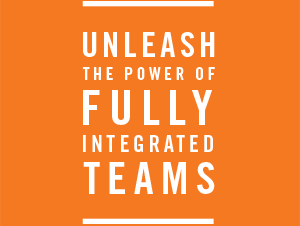 One of the key principles to getting Fully Integrated Teams is integration. Begin learning, living and leading FIT in your life and organization. © Copyright 2013 Jim Leighton / FIT. All rights reserved.